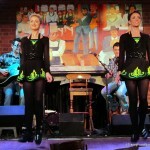 Downtown Disney’s Raglan Road Irish Pub and Restaurant has announced a Thanksgiving dinner with lots of trimmings. 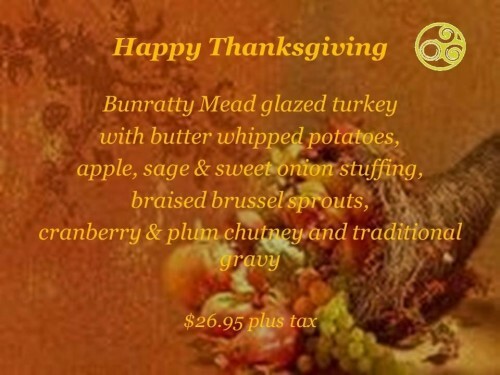 Gather your family and friends for a memorable meal in this authentic pub built in Ireland and imported to Orlando! The warm hospitality and traditional music is an inviting atmosphere for a holiday dinner. Raglan Road’s Master Chef Kevin Dundon has created a gorgeous meal for the evening. Savor Bunratty Mead glazed turkey; butter whipped potatoes; apple, sage, & sweet onion stuffing; braised Brussels sprouts; cranberry & plum chutney; and traditional gravy; all for $26.95 plus tax. 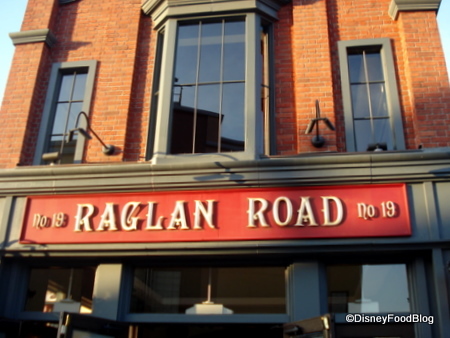 If you’d like to skip the feast, Raglan Road will also serve their regular lunch and dinner menu. 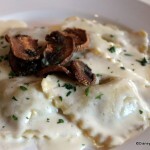 Reservations should be made directly with Raglan Road by calling 407-938-0800. If you’ll be in Walt Disney World for Thanksgiving, there are lots of options open to you in addition to this yummy dinner at Raglan Road. 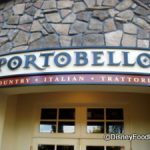 Most WDW restaurants will serve a meal with traditional Thanksgiving items on November 24th. Check out our readers’ choices for the Best Disney World Restaurants for Thanksgiving! 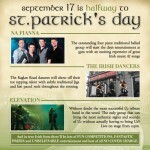 Celebrate “Halfway to St. Patrick’s Day” at Raglan Road This Saturday! That sounds good. Thanksgiving dinner is one of my favorite meals any time of the year. They said it was wide open, is there a “preferred” time for this place. I have heard that live music is played at night…but since we don’t drink and have kids, that isn’t an option.